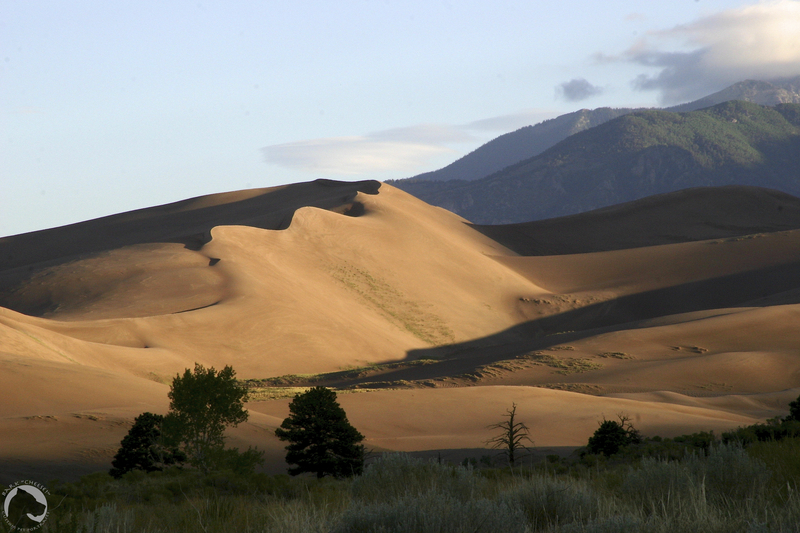 The most pet friendly park we have yet visited is Great Sand Dunes National Park and Preserve in Colorado. 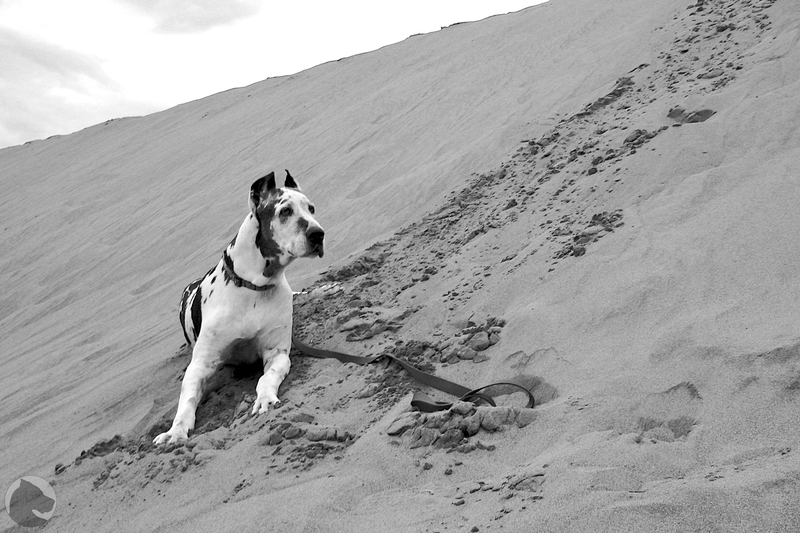 Pets are permitted in all the developed areas and the most commonly used areas which includes the dune field but only as far as the ridge of the High Dune. Even with that restriction it is a large amount of area and Selar enjoyed being allowed to play in the sand. Be aware that the temperatures of the sand can get extremely hot in the summer, we did all of our walking around late in the day or just after dawn. We also took her to the ranger talk in the evening at the campground. She barked at the appropriate audience participation time and we were thanked by one of the rangers who had recently lost his Dane for bringing her. Some of the ranger talks at parks do not allow dogs so be sure to check first and this may vary from ranger to ranger as well. The park created a helpful flyer specifically for pets which includes a map on where they are and are not allowed. I have attached it here. This entry was posted in Dogs and National Parks, Great Danes and tagged Great Dane, Harlequin, National Parks, Selar, traveling. Bookmark the permalink.